The background to this and most pages of this site is from a photo by Belinda Allen. The TWIG logo from an idea by Carla Davis. Children's hands and leaves. This gives an idea of scale. Same tree as above. One of the very few left standing in the area. 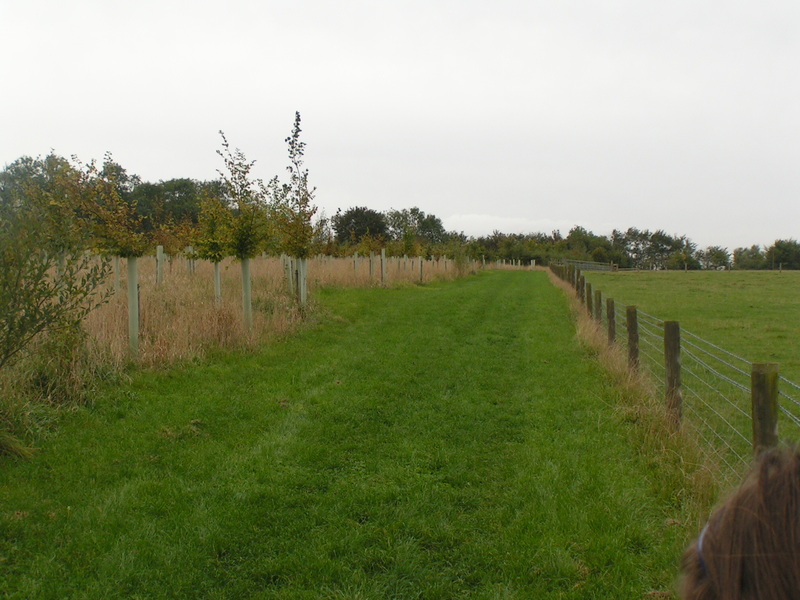 To the left and below, the next few pictures are of the Green Light Trust's own woodland at Lawshall. This is just one small corner of it, that was planted 5 years before. 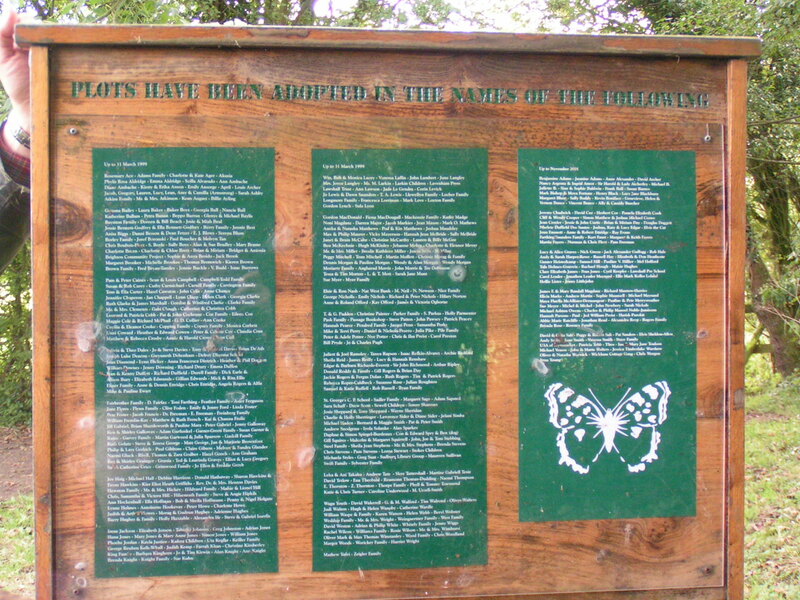 The whole community have become involved and the names of all are displayed on the name board. We hope to copy some of their ideas. 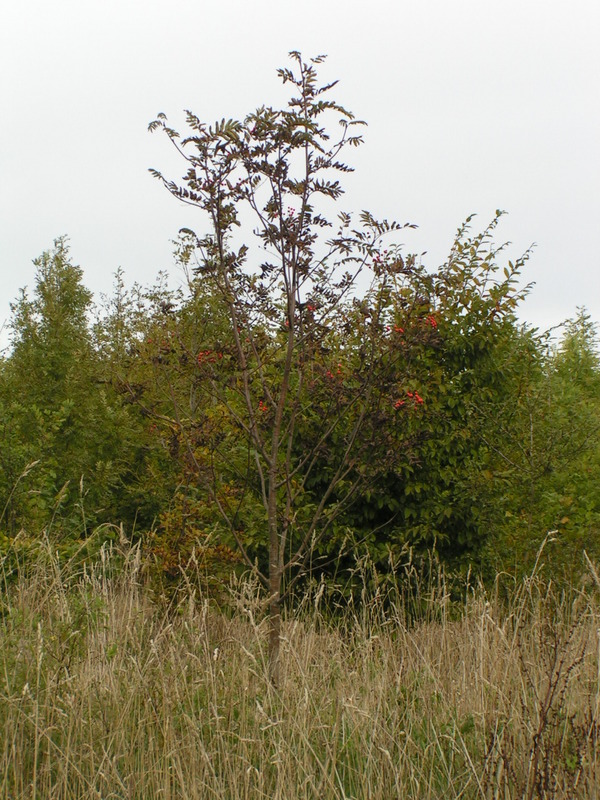 We are also intending to have an adopt a plot scheme, rather that an individual tree dedicated to someone, in case through necessity or disease a tree has to be thinned or felled. 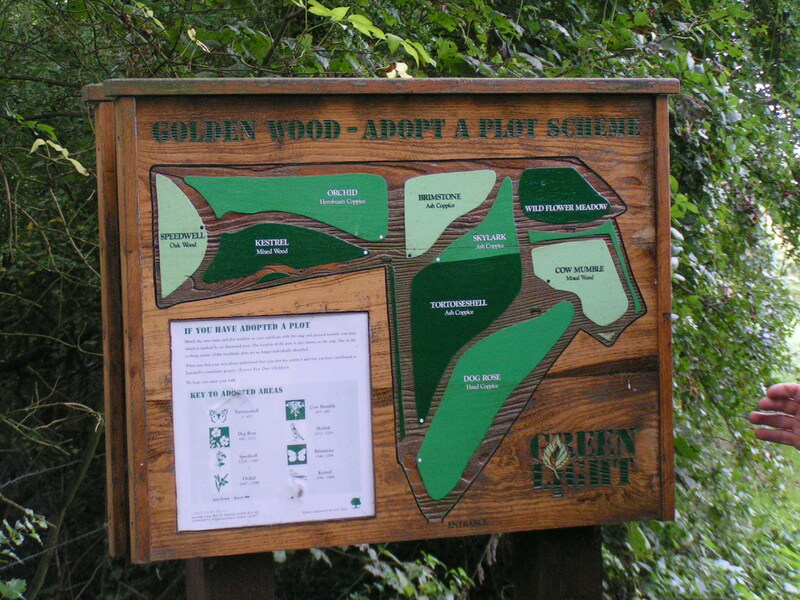 When we were considering a partnership with the Green Light Trust, we visited the woodlands they had first planted and were impressed, not only with the work, but with the reaction of all the locals we met. 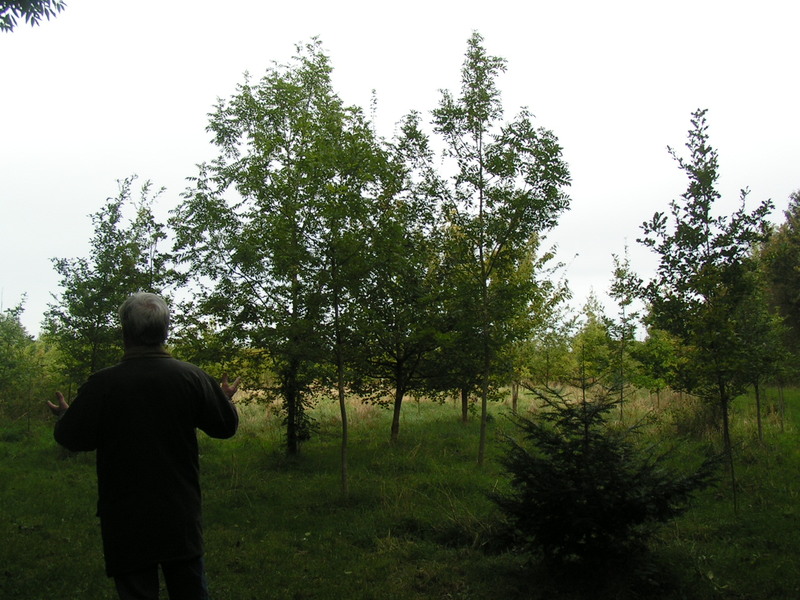 they saw it as their wood, what we hope to have in Tillingham. The size of the trees we have lost can be gauged from the size of the few remaining stumps to be seem in hedgerows, this one in Brook Road. Typical of the trees lost recently. March 2005. Wantz corner, Tillingham, the trees you can see were planted by the late Richard Kemp or members of Twig. These in Grange road were planted by John Williams in 1999 with kind permission of Andrew and Neil Cowell who own the fields here. This view taken from the top of St. Nicholas church tower shows a view over the fields to the south east of the village. Note the total lack of mature trees. 100 years ago the area was filled with 30metre tall trees. Twig members construct a raised seedbed in the School grounds. The children are planting seeds gathered locally to plant out round the village to put the Trees back in Tillingham! 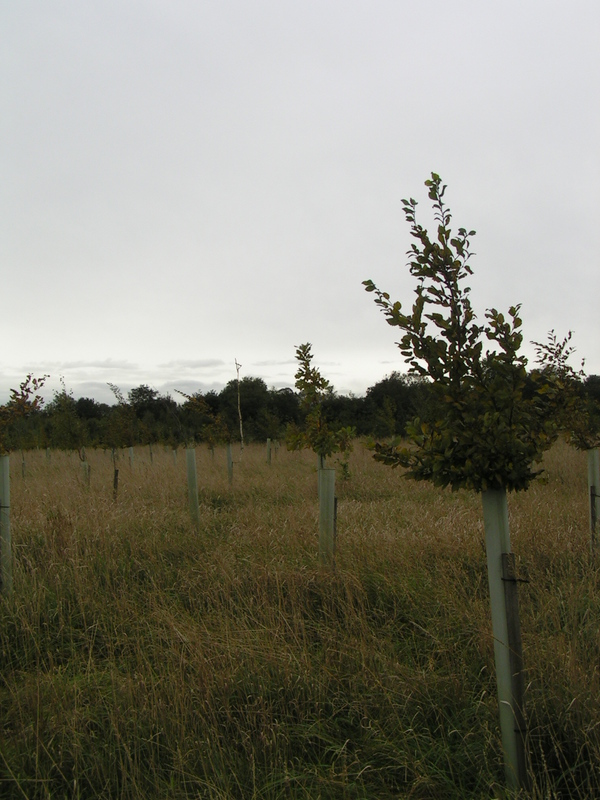 The couple on the left planted a Twig Oak tree to celebrate their 2nd anniversary! And best of all Tea Coffee and Cakes afterwards! 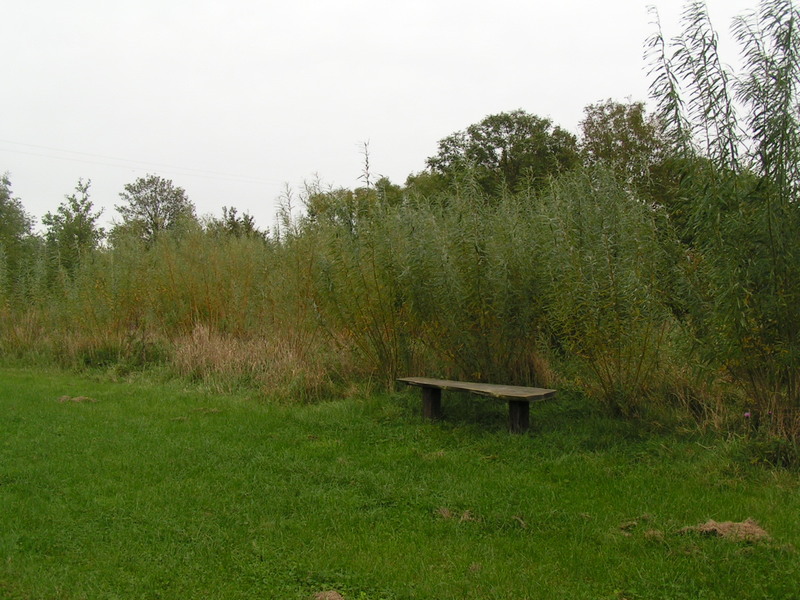 March 2007, the churchyard extension hedge that Twig members helped to plant. Looking well! This is the Bradwell road out of the Village where several large elms were felled last summer, sadly they did not appear to have Dutch Elm disease and though there were certainly sections that could have benefited from lopping, to fell the lot was a sad thing to do. A good exercise would be to count the rings! I tried but it got too dark to see!